Before/After. Side of face after 6 Radio Frequency treatments. Before/After. 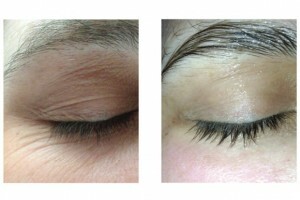 Eyes after 1 Radio Frequency treatment. 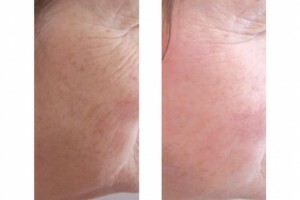 Before and After images have been taken by SkinFirst therapists and have not been retouched or altered. Radio frequency is a safe non-invasive treatment and can be used on all skin types. It is very popular with clients – male and female, over the age of 35, as it is excellent at restoring elasticity, smoothing out lines and wrinkles and bringing about a more youthful looking complexion. As mentioned it is also used to help with acne scarring. So clients range in age from people in their 20’s to those in their 80’s! Men and women, and all skin colours.